​Soldiers stream onto a C-130 at Al Taji Army Airfield, Iraq, in October 2017. Photo by Jennifer Hlad. ​AL ASAD AB, Iraq—Late afternoon light floods into the belly of the C-130 as the load masters lower the ramp here, the plane’s second stop of the day. About a dozen soldiers and contractors line up, ready to exit the plane, as a forklift approaches to remove the pallet of duffle bags and a pallet of boxes. After unloading, there’s a brief pause before another dozen people board the plane, followed by the forklift with their luggage. From people to vehicles, medical supplies to toilet paper, the Hercules can move nearly anything, said Capt. Charles Moore, a tactician with the 386th Expeditionary Operational Support Squadron and former member of the flying crew for the 737th Expeditionary Airlift Squadron. 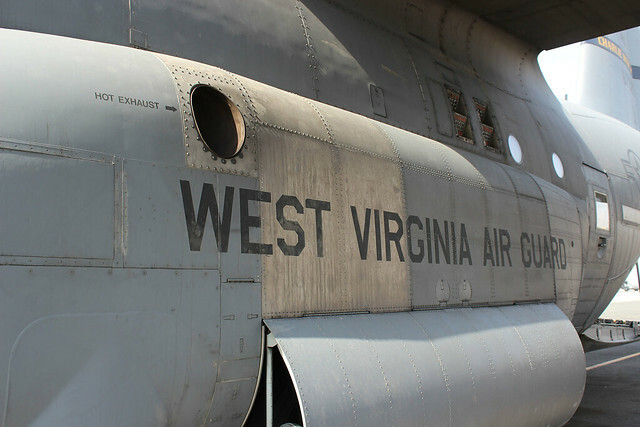 Air Force Magazine took a tactical airlift flight from an undisclosed location in Southwest Asia to two locations in Iraq. See Jennifer Hlad's photos. “We’re not necessarily that glamorous, but we’re very rugged. We can get into [a] very austere location, which a large C-17 physically can’t,” he told Air Force Magazine in a recent interview in an undisclosed location in Southwest Asia. That adaptability means the planes stay busy; for the last three months in a row, the 737th has flown more sorties per month than in any other month for the previous five years, Lindman said. During those three months, the 386th AEW as a whole moved nearly 37 million pounds of cargo and more than 36,000 passengers, including more than 11 million pounds of cargo and 16,000 passengers in September alone. Col. Andrew Purath, vice commander of the 386th Expeditionary Air Wing, said the increase in sorties may be due to a change in demand. Day after day during OIF, Purath said, the C-130s would put 60 people and two baggage pallets on the plane, fly to a location, unload the people and pallets, then load back up and return to the undisclosed base that’s the home of the 386th AEW. On this leg of the mission, only a handful of people got on the plane from its base at the undisclosed location, but when it returned after two stops in Iraq, about 20 people got off. In all, the crew transported more than three tons of cargo. In addition to the changing demand, the squadron also has excellent maintainers, which has “added to our capability,” Lindman said. The squadron enjoyed a mission-capable rate of 95.8 percent in September—a three-year high. “In this day and age, you’re always trying to do more with less,” he said.